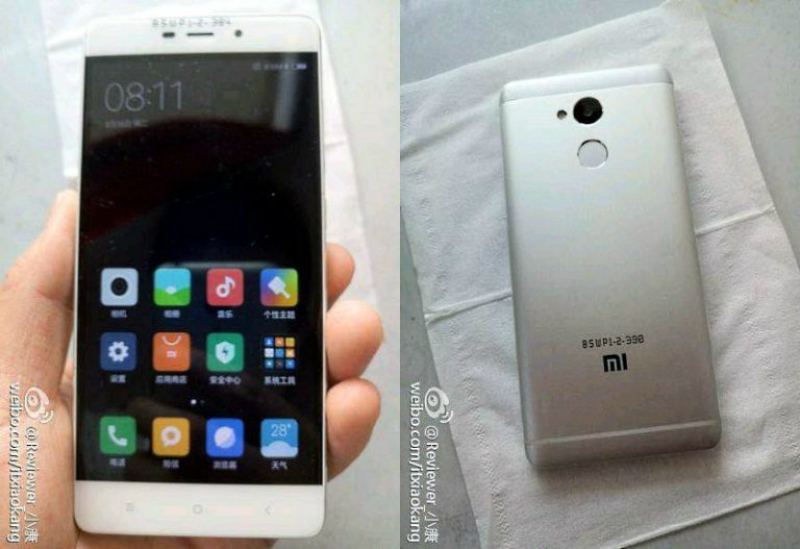 The Xiaomi Redmi 4 and Mi Note 2 are expected to launch within a month, but before that happens images of both the smartphones have leaked online. The photos showcase metal unibodies, fingerprint sensors, and also reveal some key specifications of the devices. The alleged Redmi 4 photos leaked on Weibo are in line with previous leaks. The Xiaomi Redmi 4 shows off a metal unibody with round edges and antenna bands at the top and bottom. The rear camera sits at the top centre with the flash right beside it. There is also a fingerprint sensor just beneath the camera lens. The front houses capacitive navigation buttons at the bottom and thin bezel surround the left and right edges. Alongside, the Redmi 4 is indicated run Android 6.0 Marshmallow-based MIUI 8. It’s said to feature a 5-inch full-HD (1920×1080 pixels) display, and is tipped to be powered by a Snapdragon 625 processor with 2GB of RAM. The leak claims the smartphone comes with 16GB of inbuilt storage expandable further via microSD card. Connectivity options include 4G VoLTE, WiFi 802.11ac (2.4 and 5GHz), Bluetooth 4.2, and GPS. Previous leaks suggest that there will also be a variant that will sport 3GB RAM and 32GB of inbuilt storage. It is expected to pack a 4100mAh battery, and be priced at CNY 699 (roughly Rs. 7,000). Xiaomi is largely expected to launch the Redmi 4 at an event in China on August 25. 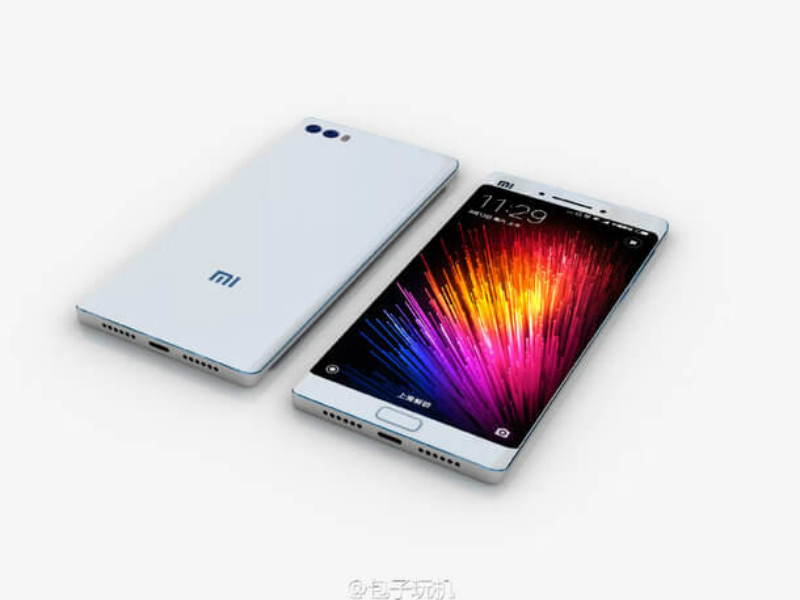 A week later on September 2, Xiaomi is also rumoured to unveil the Mi Note 2. 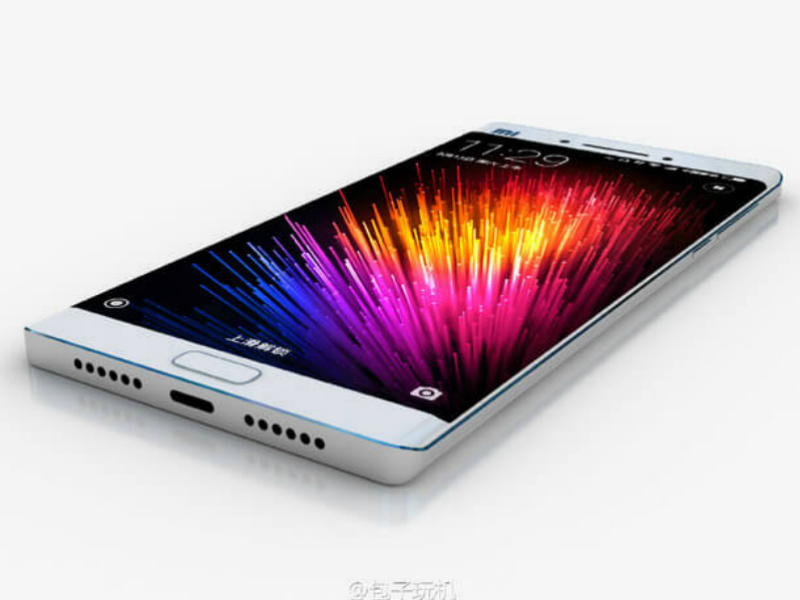 Anzhou has leaked) images of the Mi Note 2, leaving very little to the imagination. It sports a dual camera setup at the back, and interestingly sports a curved display just like the Galaxy Note 7. It is seen sporting a USB Type-C port and two speaker grilles, and the fingerprint sensor is presumably housed at the front. Past leaks suggest that it may be launched in two memory/ storage bundles – 6GB RAM/ 64GB storage and 6GB RAM/ 128GB storage – and will be priced at CNY 2,499 (approximately Rs. 25,000) and CNY 2,799 (approximately Rs. 28,000) respectively. Leaks suggest that the Mi Note 2 will sport a metal body, fingerprint scanner, Amoled display, Snapdragon 821 SoC, and a 3600mAh battery.